The telegram opposite is the original and shows how impersonal they were. This is the first one I have ever seen. I can't imagine the impact such a document had on the families. Firstly is says he was posted missing on 19.1.44 believed killed, then in bold "courier" states that missing doesn't necessarily mean killed. He might be a prisoner. Why write believed killed then!! I suppose it annoys me because I have the benefit of hindsight! 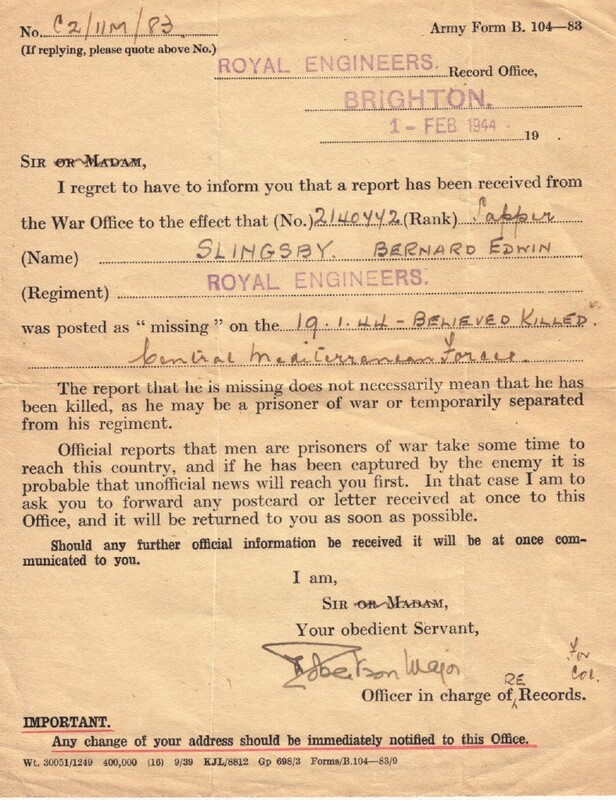 Bernard Edwin Slingsby, Sapper 2140772 died 19/01/1944 age 24. 22 Royal Engineers ( 213 Army Field Company). 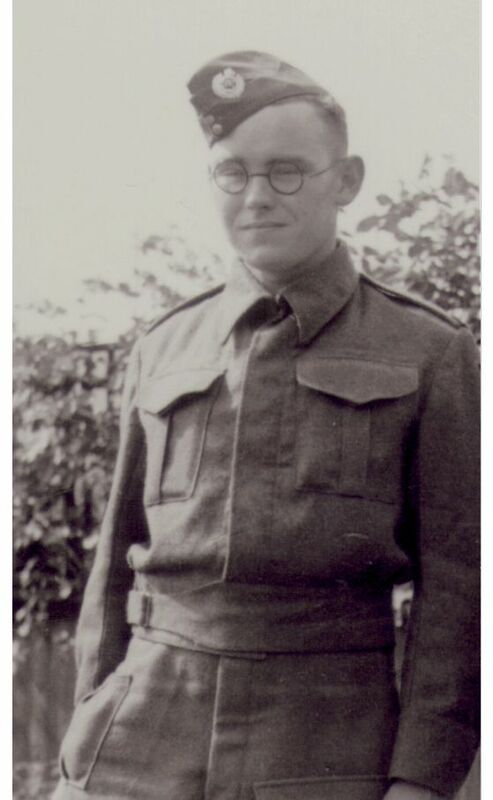 Born on 15th May 1920 in Wood Green, London, he was posted missing on 19 Jan 1944, only 24 years old. (additional information supplied by Sue Slingsby (Niece)) Remembered on the Cassino Memorial, Italy.